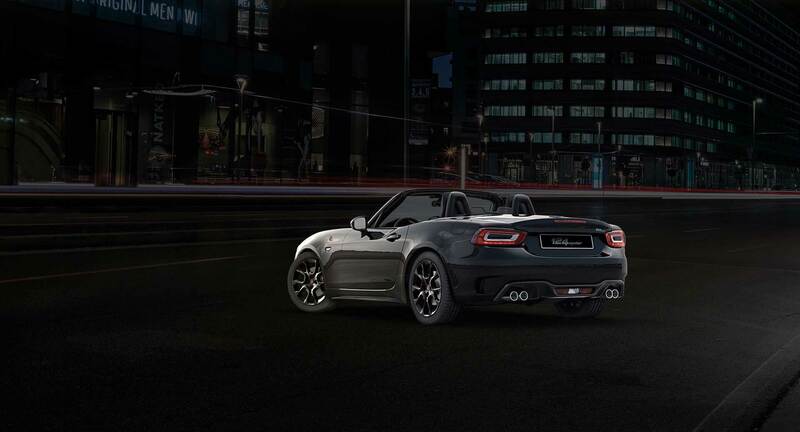 The Scorpion roadster is where driving pleasure and exhilarating performance meet. A spider with the numbers: best in class weight-to -power ratio, with 50:50 distribution and a centre of gravity just 38.5cm off the ground. 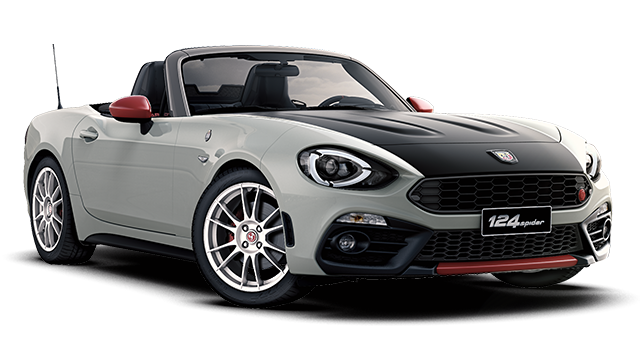 Abarth 124 spider, the essence of driving. 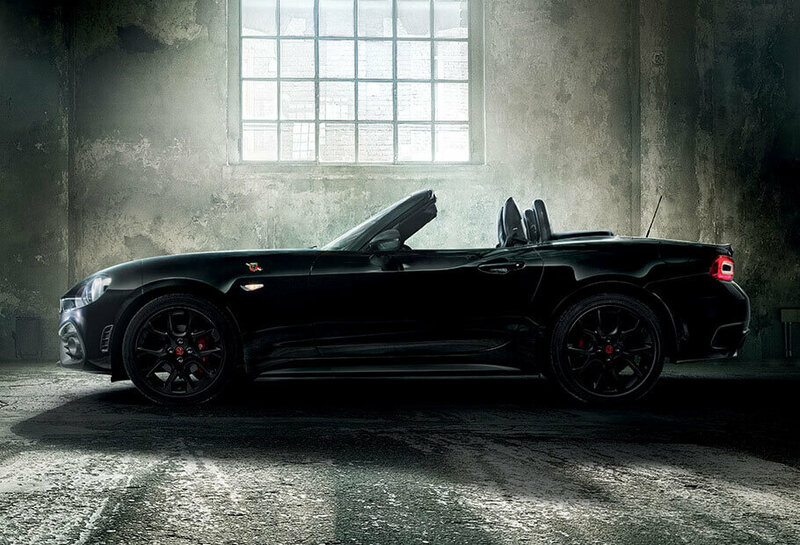 When choosing a spider, design is fundamental, so is the sound. 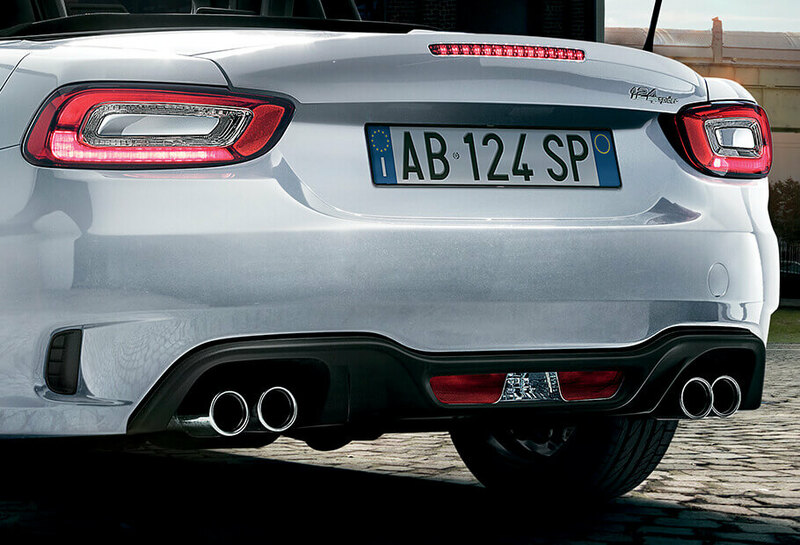 Add, as an option, the dual mode, 4-tailpipe, Record Monza Exhaust. 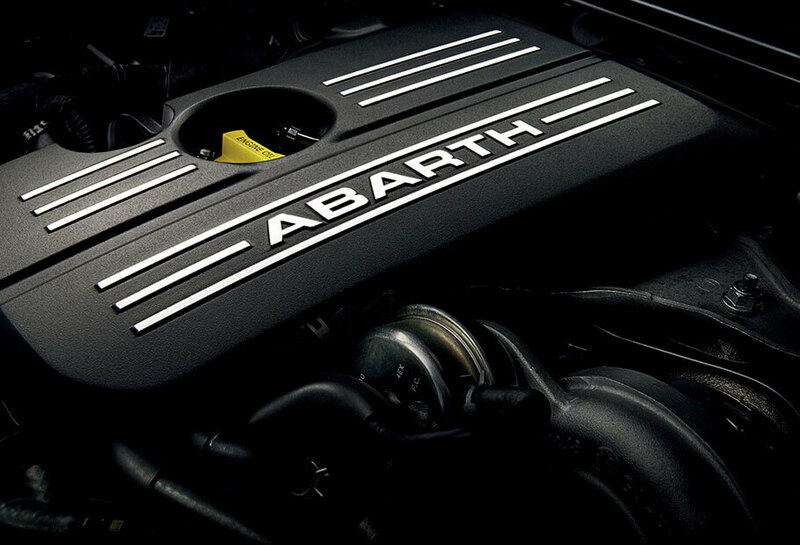 Exhaust gas flow varies depending on the engine speed, while the reduced back-pressure ensures increased power delivery at all speeds. 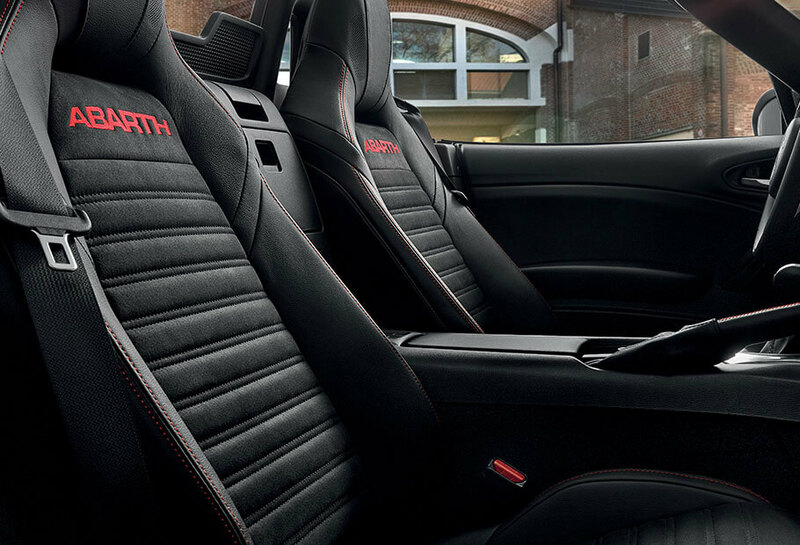 Driving pleasure is essential for Abarth. 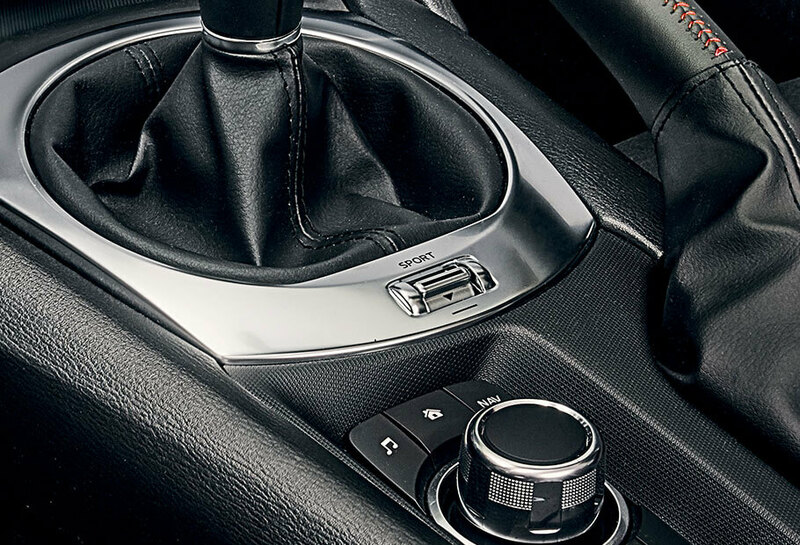 The Drive Mode Selector changes the engine calibration, acceleration, steering, electronic controls and transmission. 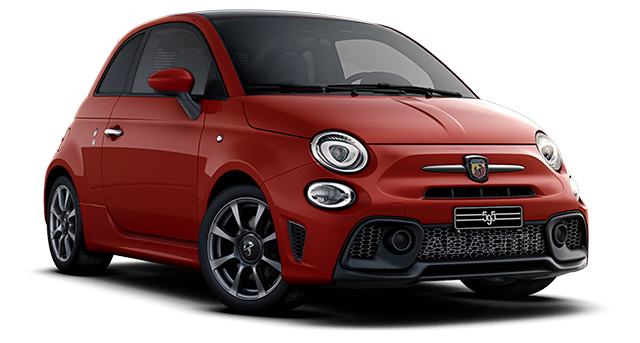 The result is moderate driving in traffic or sportier feel on the open road. Change the road in front of you, not your driving pleasure. A light, but powerful spider. The 1.4 Turbo MultiAir is is calibrated to deliver 170 HP. 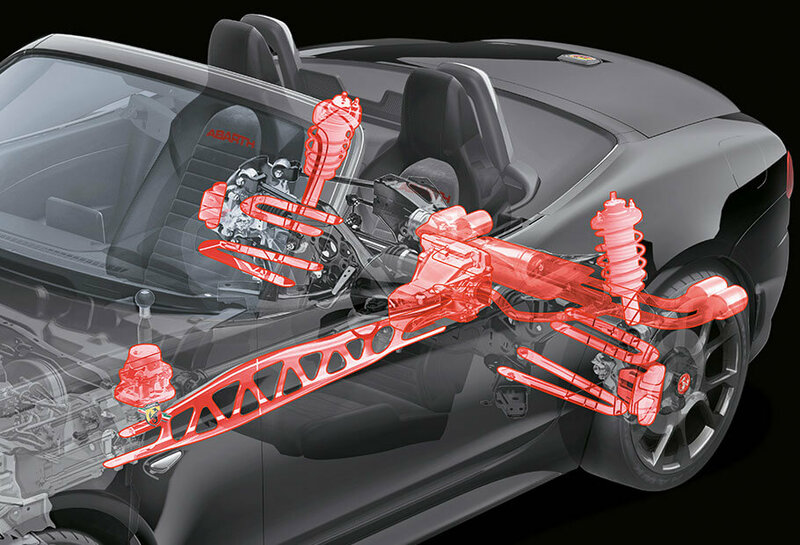 Climb on board a car that’s able to guarantee full performance control. 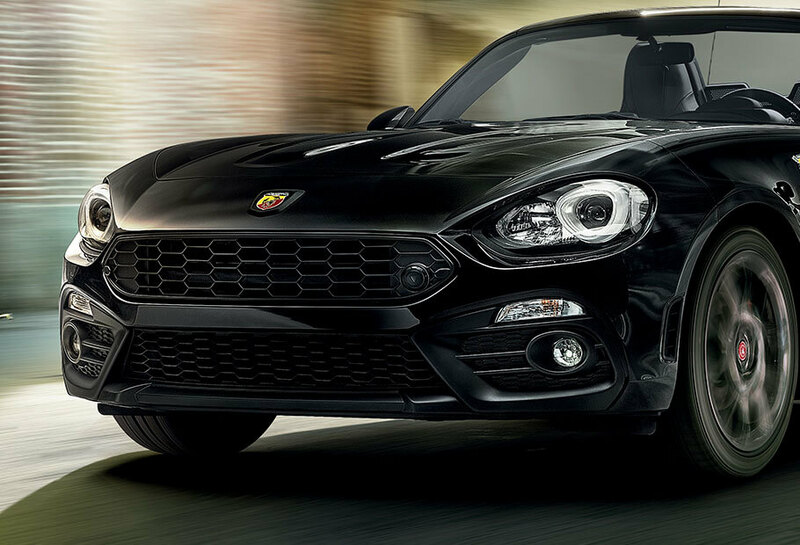 Abarth 124 spider translates sportiness into elegance and vice-versa. The single colour body, available in black or white, underlines its sober but determined character. The stylistic choices are also evident in the front-end design. 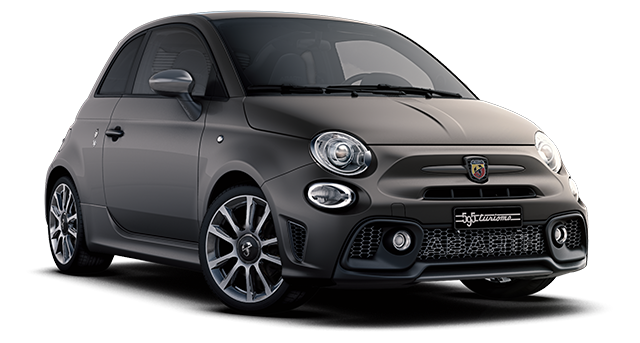 The wing mirror caps match the grey tone of the A-pillar, while the grille cover is uniformly black. The elegant and sporty DNA is reflected in the interiors, where the seats have a carefully planned design: the central microfibre inserts minimise side-slipping by the driver, while the leather sides add a more elegant touch. 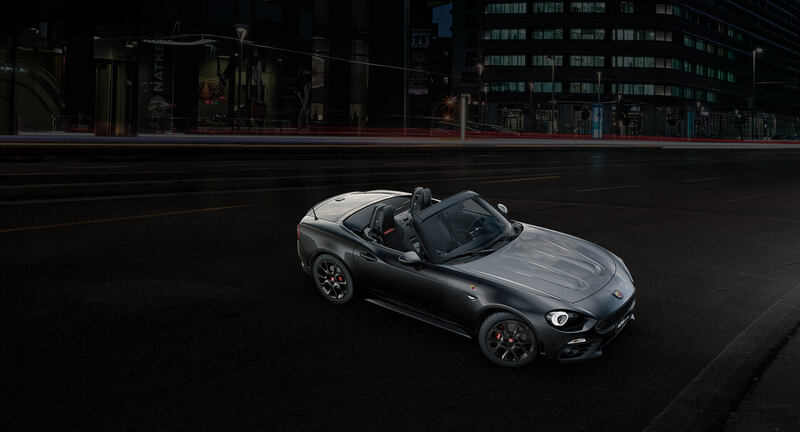 Classy, yet sporty. 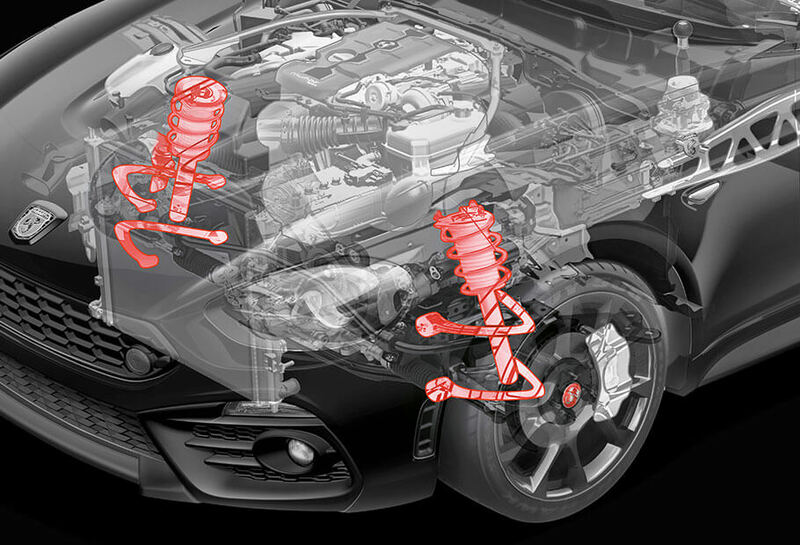 The D.A.M affects both safety and performance. 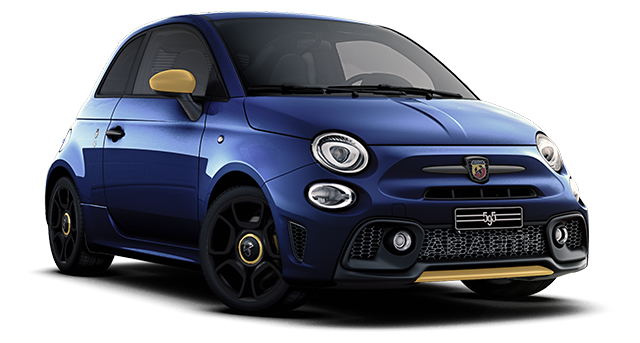 The ability to ensure torque transfer between the front wheels on curves gives exceptional dynamism. The result is flawless cornering. 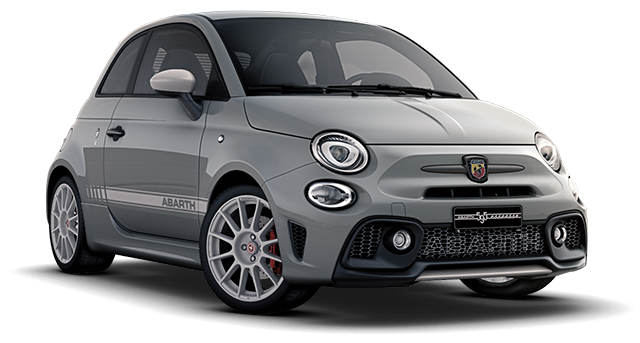 The specific Abarth braking system offers maximum safety, without impacting the quality of your performances. 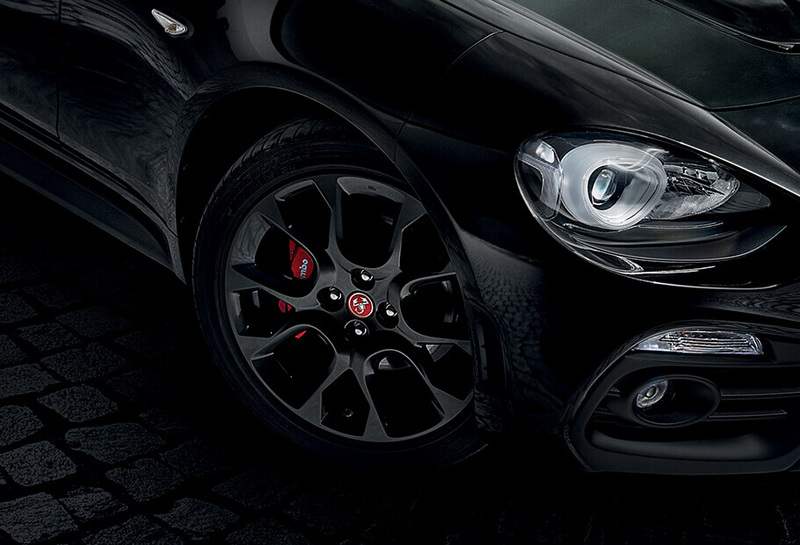 You can also choose to add the Brembo braking system, dedicated entirely to driving pleasure. Your style will be unique. 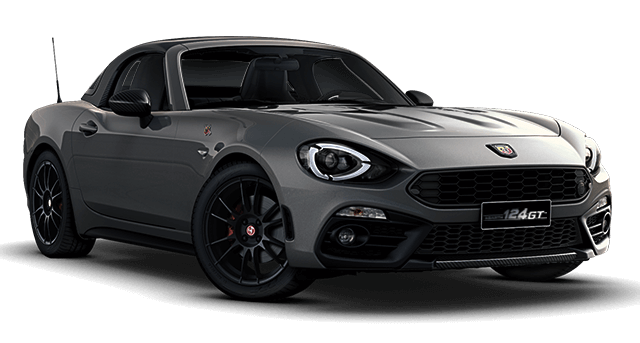 Thanks to the sports suspension with Bilstein shock absorbers, specifically tuned by Abarth and a larger anti-roll bar, Abarth 124 spider offers perfect road holding, neutral setting and maximum control on every corner. 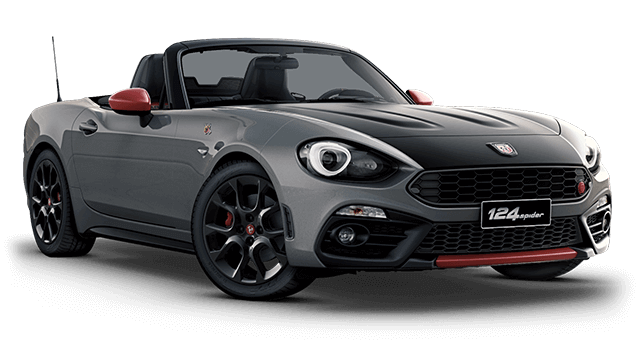 Abarth 124 spider is the roadster designed to experience the essence of the asphalt. 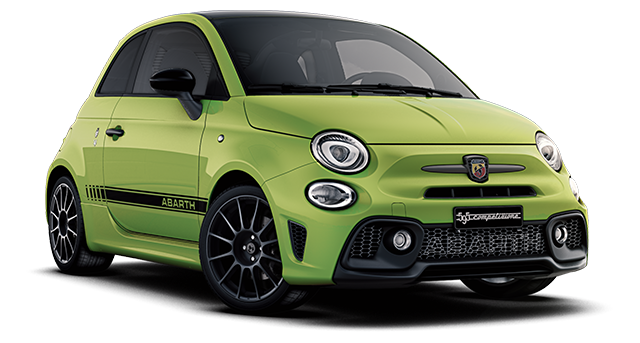 Its handling is unique in its class and translates into a dual soul, capable of offering the most authentic driving pleasure and, at the same time, a sporty style. It’s all in your hands.